Contact Ticketmaster customer services by phoning their UK helpline number 0333 321 9999 to make a new booking, to sell existing tickets for resale, for refund enquiries following cancelled events and for formal complaints. Call Ticketmaster UK customer services by dialling their central helpline number 0333 321 9999 to place a telephone booking for concert, stand up comedy and sporting events. By contrast if you already have a ticket but you are no longer able to attend on the date you can call this helpline to either amend your booking or get a refund via their official resale outlet. Furthermore you can order gift cards by calling this customer care helpline by selecting any amount up to £250. Current gift card holders may dial this number to check their balance, to top up funds on their card and to report their card as lost or stolen. 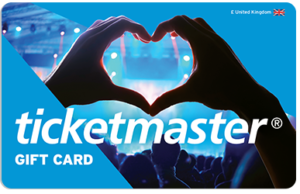 However please be aware that refunds on missing cards are given at Ticketmaster’s discretion. Moreover if you need technical support when making a booking via the Ticketmaster website you may phone this helpline to confirm that a payment has been processed and to reset any forgotten login details. Finally if you would like to find out the release dates of upcoming tickets you can call this helpline to ascertain when they are on sale to the general public so that you do not miss out. Calls to Ticketmaster UK are charged at the same rate as phoning any local 01 or 02 phone number in the country, thus you will ordinarily pay a per-minute rate plus n access fee which is used to connect the call. However customers with inclusive minutes on their landline or mobile tariffs may contact Ticketmaster for free if they have inclusive minutes to use as part of their monthly contract deal. The Ticketmaster contact number 0333 321 9999 is open from 9am-8pm Monday-Friday and 10am-4pm Saturday-Sunday, however there may be closures on certain bank holidays such as Christmas Day. Contact Ticketmaster Northern Ireland to book a ticket in the country by calling their UK-wide phone number 0333 321 9996 where you can also list an existing booking for resale if you are no longer able to attend an event in Belfast. You can also phone this number to track your ticket delivery in the post and to change your registered home address so that you receive your documents in time. Phone Ticketmaster UK services from overseas by calling their international contact number +44 161 425 7563 to book tickets for events happening in major British cities including London, Manchester, Cardiff and Liverpool. It is recommended before you travel that you confirm with Ticketmaster directions for travelling to the specific event and to get guidance on what visa requirements you need to enter the country if applicable. You should be aware that calls from abroad will normally cost significantly more than making the equivalent UK-only call, plus phoning from a mobile will usually be more expensive than landline calls unless you have a roaming package. Make a payment to Ticketmaster UK by contacting them via their telephone helpline number 0333 003 5939 where you can submit missed deposits on event tickets. This is also useful if you have missed a payment on your direct debit schedule when securing a ticket for a festival such as Glastonbury, Creamfields or Download. Please note that you will need your card details to hand as well as your booking reference number so that Ticketmaster can process your payment. Ticketmaster offer several ways to contact the popular resale outlet in writing, including email and postal addresses. They have also embraced the modern phenomenon of social media, thus you can post public messages on their profiles as well as discovering the release dates on tickets for upcoming shows. Visit the Ticketmaster help and contact listings page to send email enquiries to their customer service division. Here you will also find official information about festival events including accessibility recommendations and booking confirmation. Customers can also get in touch with Ticketmaster UK by visiting their social media profiles where you will also find the latest updates on ticket release dates and festival line-ups.